This latest generation of Launchkey is Novation’s most focused MIDI keyboard controller for AbletonLive. It’s the quickest and easiest way to produce and perform electronic music because it is designed specifically for the purpose. Just plug in via USB and the keys, faders, knobs and pads immediately give you hands-on control of your grid, instruments, effects and mixer. Of course, if you don’t use Ableton, it will map to other major music software too using InControl. All controls work immediately and can be freely reassigned.See your session in full colour:RGB padsmatch the colour of your clips. Plug in and play: USB bus-powered and totally class compliant, so it works straight away without any drivers. 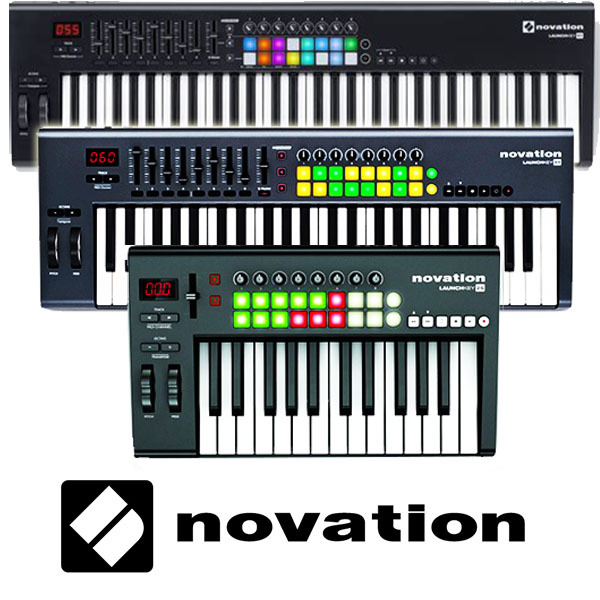 Included Software: ;Ableton Live Lite;4 GB of Loopmasters sounds and samples;One of four XLN Audio AddictiveKeys instruments;Novation Bass Station VST and AU plug-in synthesiser;Novation V Station VST and AU plug-in synthesiser;Free Melodics lessons.